This 32 mm round badge-reel with chrome outer frame has a no-twist U-shaped bullet which helps keeping your ID facing forward at all times. It can be attached using its carabiner or its back belt-clip. 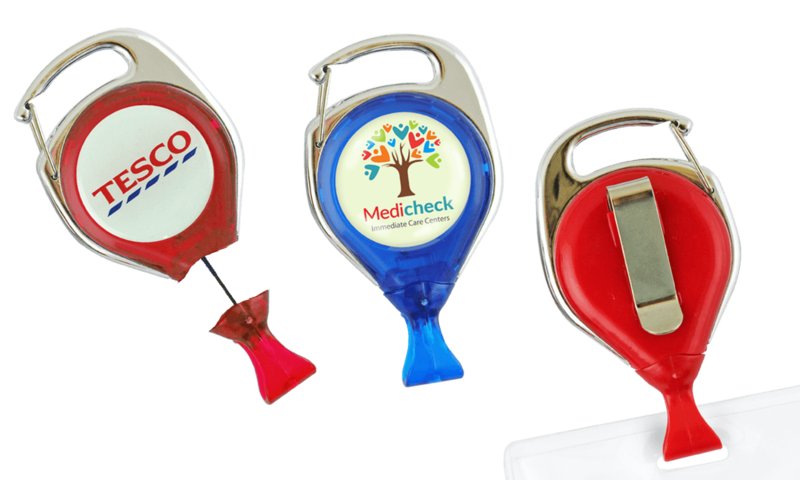 Customise your badge-reel with your own graphics or logos in full colour! Add a full colour customisation with protective sparkyl dome on your carabiner-style pull reel with card clip and nylon cord. This badge-reel with outer chrome carabiner frame also features a slide-style belt clip on the back.